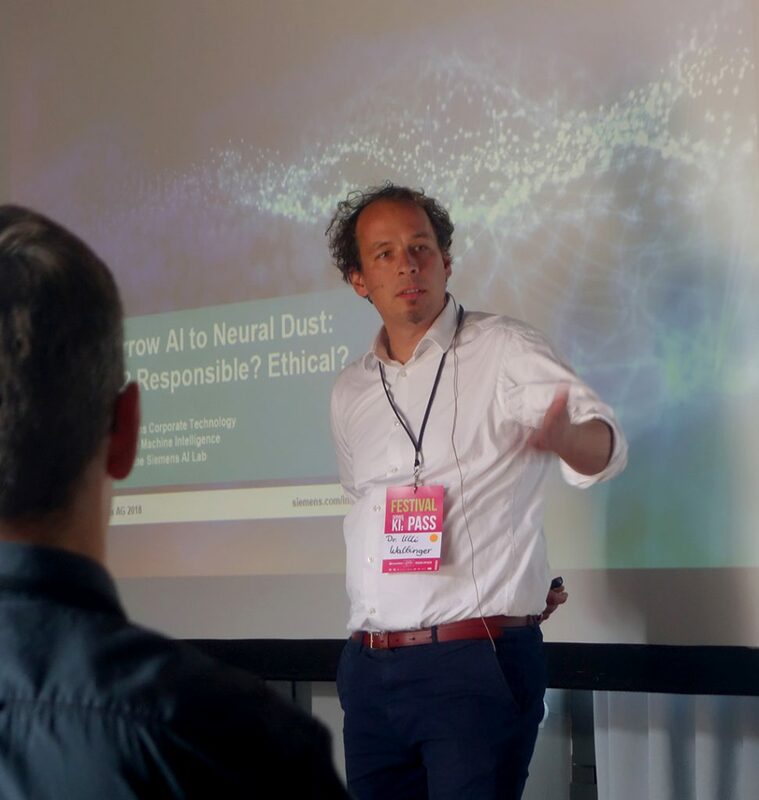 Great conference with an #bold and #openminded discussion on the #impact , #ethics, and #sustainability of #ArtificialIntelligence solutions – from ML #worldmodels to AI #entrepreneurs – Invited Talk: From Narrow AI to Neural Dust – Responsible? Feasable? Ethical? Much of the current progress of modern AI success stories can be attributed to the field of so called narrow AI systems. That is, systems which leverage primarily supervised machine learning techniques for a very narrowly defined task, such as object recognition or language translation. Though, the advances led also to initiatives that utilize these technologies for crowd surveillances, personality prediction, or identifying the sexual orientation based on few data points. In addition, the combination of increased computing power, improved AI algorithms and availability of data drives the progress and vision of new smart sensor devices ranging from wearable’s, swallow-able sensors, to the future direction of neural and smart dust. 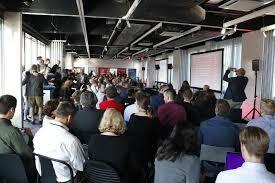 That is towards ubiquitous unified interfaces with autonomous sensing and communication capabilities. While from a technology perspective the development seems still futuristic and early stage, it already motivates questions towards a trustful, responsible, and ethical direction within the field of AI and related exponential technologies.